Modern genomes have the potential to reveal alot about evolutionary history and past geography of a crop. Of course there are some limitation to the degree that it hard to account for extirpated past populations, such as the wild rice that used to grow in central China or the wild pearl millet that used to grow what is now the Sahara. 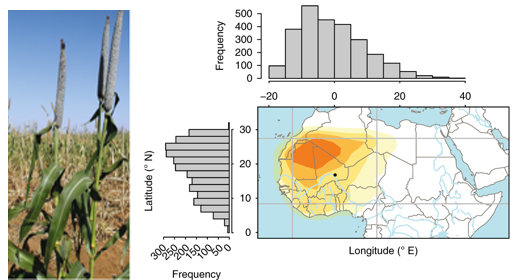 A new study of pearl millet (Pennisetum glaucum) by Bugarella et al (2018) provides a convincing set of deductions from genetic history that infer an origin of the crop in the western Sahel/Sahara around what is today northern Mali/northeast Mauretania (map at left), followed by early differentiation between those of the far west (Mauretania/Senegal), and the eastern Sahel (e.g. Sudan) from those in the core zones of western Africa. Based on spatial simulations that take into account a few archaeological data points they also estimated the onset of the expansion of pearl millet as crop out of its centre of origin a starting ca. 4800-4900 years ago. This fits nicely with current archaeobotany. The earliest, already domesticated, pearl millet is from northeastern Mali in the lower Tilemsi valley between 2500 and 2000 BC. Perhaps a parallel trajectory of dispersal is represented by the Tichitt Tradition of Mauretania (from ca. 1700 BC). What remains an open question is whether these two area represent distinct domestication trajectories (a point suggested by MacDonald et al 2009; Manning and Fuller 2014), much as we see the West Asian Fertile Crescent as a mosaic of domesticators across the region as more or less the same time (e.g.here or there ). The zone delimited by the genetic study could well represent a sort of "West African Fertile Crescent" in which more than cultural groups were in the process of cultivating and domesticating pearl millet during the middle Holocene. The differentiation of a far western genetic groups would then represent dispersal first through the Tichitt-Oualata traditions of Mauretania and onwards to the Sengal valley- which fits with Brunken, De Wet and Harlan's old taxonomic differentiation of a western race leonis (Economic Botany 1977). 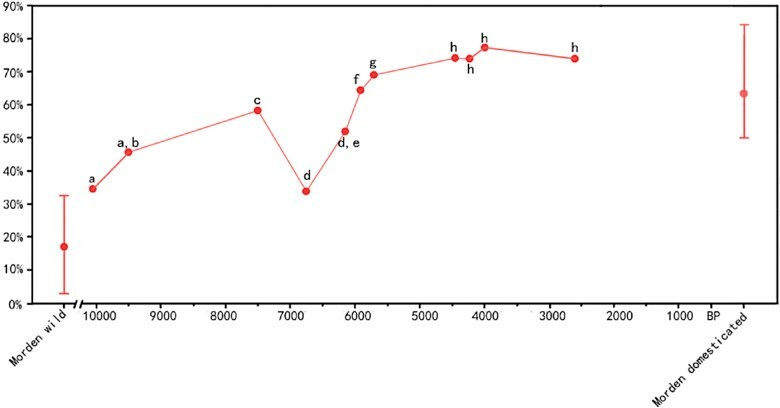 A rapid and early spread easterns to the eastern Sahel, which was followed by local introgression with local wild populations, is also implied in this genetic analysis, and fits with the albeit limited archaeobotanical evidence for pearl millet (both morphologically domesticated and wild) alongside cultivated sorghum in the Kasala region of eastern Sudan around 1850 BC, just recently published by Beldados et al. (2018). Ancient DNA in charred grains? More bad news. No one can have missed the massive impact that ancient DNA has been having on the history of human populations and those of several domesticated animals. Bones, at least some of them, provide a nice venue for the preservation of old genomes. Plants have featured much less in this story, with estimates of 200 C) for sometime (many hours)-- does not do DNA any favours. This who have worked on ancient DNA have tended to focus on desiccated plant remains- from dry desert contexts. A new report on ancient DNA extraction from archaeological grains (Lundstrom et al 2018), in this case barley, from Medieval and Late Medieval Sweden, reports some good success from some dry grains from a 17th century's Bishop's burial, some success from waterlogged specimens but no success from 46 charred grains. 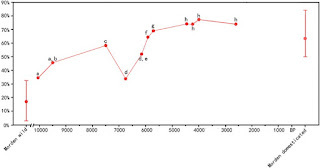 This replicates similar attempts to get aDNA out of charred Finish barley (Lempaiainen-Avci et al 2018) and methodological trail of Nistelberger et al. 2016 who tried High-Throughput Sequencing ("shotgun sequencing") on various charred archaeological grapes, maize, rice and barley (Pictured at right), including rice provided by my lab from India, Thailand and the Comores. Nistelberger et al. 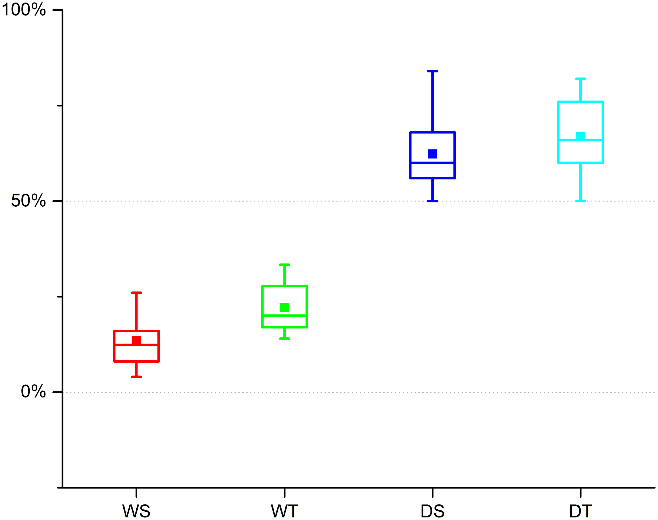 concluded that charred material is likely to rarely yield sufficient reliable genetic data, a conclusion re-iterated by two Scandinavian studies. The open question is what does this entail for older aDNA results, using "old-fashioned" methods, i.e. 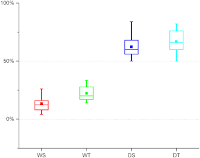 targeted PCR, to extract chloroplast DNA, which appears to sometimes be quite successful in differentiating indica from japonica rice for example (Castillo et al 2016), or which was used in the early days of aDNA in the 1990s to separate tetraploid from hexaploid wheats (e.g. 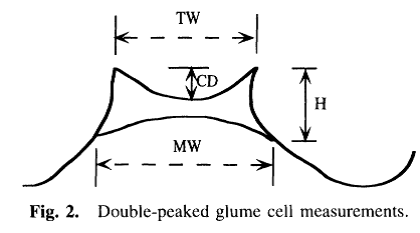 Allaby et al 1997). 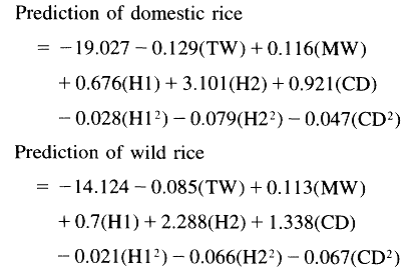 Estimates then were that maybe 5% of charred grains might have some aDNA in them, but maybe those were generous over-estimates? Are we now supposed to reject such earlier work and methods out of hand? Or does it mean that methodologically, there is something about current high-throughput methods that has not solved the problem of dealing with the highly fragmented and sparse DNA that is thought to be preserved in a minority of charred remains? Reading the fine print, Nistelberger did identify a small amount of ancient DNA reads, but they regarded them as so few as to be "inconsequential". But if little is all we are left with maybe we need to change our aims to make these consequential through the questions we ask of them? 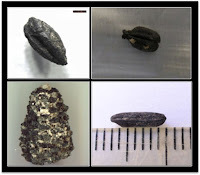 I have previously highlighted the potential of ct-Scanning and synchrotron imaging to look inside archaeological seeds, or seeds inside archaeological pots. And wanted here to highlight the publication of a more detailed protocol for ct-scanning bits of pottery for looking at inclusions, recently published by Barron and Denham in Journal of Archaeological Science: Reports. We have, of course, been looking at impression of plant temper on the surface of sherds from a long time, since the days of Hans Helbaek in the 1940s. 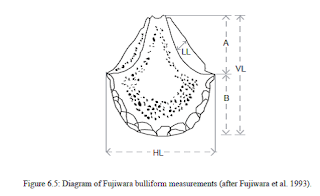 It seems unlikely that the utility of casting and studying impressions on sherd surfaces will go away, as it remains something that is easily carried out in bulk across large sherd assemblage with relative speed and low cost-- providing among other things our best current evidence on sorghum domestication. Nevertheless, the beauty of ct-scanning lies in the ability to see a much larger sample of impressions below the surface, including those that are potentially much better and more completely preserved than those just on the surface. 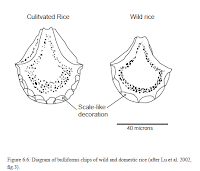 The example of the rice spikelet pictured at left from a sherd from Loc Giang, a Neolithic site in Vietnam is a nice case in point. It’s with great sadness we bring you the news that Gordon Hillman died on Sunday 1st July. He is survived by his daughter Thilaka, and three Grandsons. 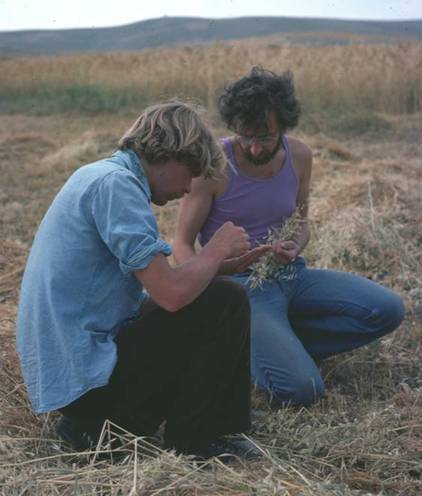 Gordon Hillman was a pivotal figure in the development of archaeobotany at the Institute of Archaeology, and through his research, publication and teaching he had a major influence on the direction of the field worldwide, especially with regards to the origins of plant domestication in the Near East and late hunter-gatherer economies. 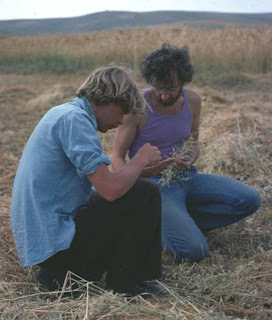 Gordon Hillman joined the Institute of Archaeology as a research associate in 1981 funded by the UK Science and Engineering Research Council and then became a full-time lecturer in a new archaeobotany post from 1983. 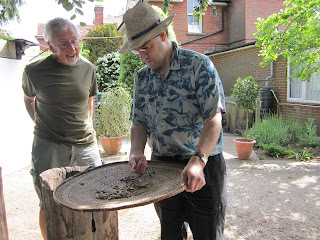 David Harris was then Professor of Human Environment, and together they launched a MSc in Bioarchaeology at that time which offered intensive practical training in archaeobotany in alternate years. A generation of professional archaeobotanists, both in commercial archaeology and international academic posts, began their careers through this degree. This degree laid the foundations for the current MSc in Environmental Archaeology. 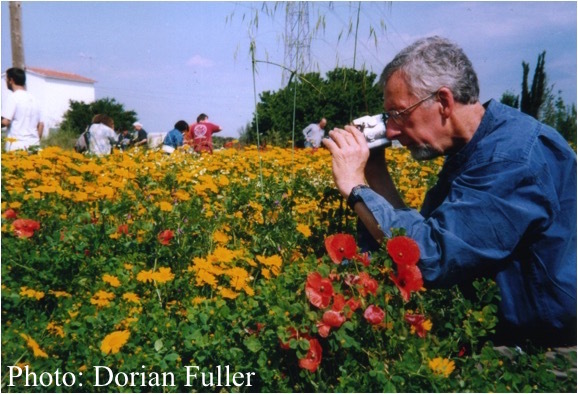 Gordon's ground-breaking career in Archaeobotany began in 1969, with a year of training in Mainz, Germany with Dr. Maria Hopf, who at that time was studying plant remains from Jericho. Gordon subsequently, and for nearly five years lived in Turkey carrying out ethnobotanical research, building up a seed reference collection and carrying out flotation at various excavations of the British Institute of Archaeology in Ankara, such as at the sites of Can Hassan III and Asvan. 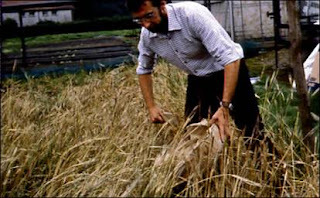 This period was critical in Gordon’s pioneering of a ethnoarchaeological approach to archaeobotanical assemblage formation through the study of traditional crop-processing. It was also the period when much of the core seed reference collection was put together for both the BIAA and the Institute of Archaeology. It was also in this period that he came to the attention of Andrew Moore who was embarking on rescue excavations in northern Syria at Tell Abu Hureyra, which was to prove a seminal research project for Gordon, providing insights into broad spectrum wild plant use in the Late Pleistocene, plausible evidence for early pre-domestication cultivation and the nature of early integrated agro-pastoral economies. Gordon was an inspiration to his students, his colleagues, and well beyond through his publications and TV appearances. He was always a thoughtful, provocative and supportive senior colleague that will be dearly missed. I always had much learn at his feet. The Times, and Nature Plants. The University of Reading has a more Reading-focused account. Do please add you memories and comments on Gordon Hillman as comments to this blog. This photo (below) was found dusty in the back of drawer in the UCL archaeobotany lab. I never got to ask Gordon about it,but I think it is from an early I.W.G.P., in Budapest(? ), 1969 or 1971(?). 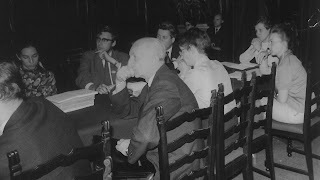 A young Gordon Hillman is in the Middle; also pictured Heather Jarmon (left) and Prof Schulz-Motel (right). Alison Weisskopf (1960-2018), passed away peacefully in hospice in the presence of her immediate family on 11 January 2018. 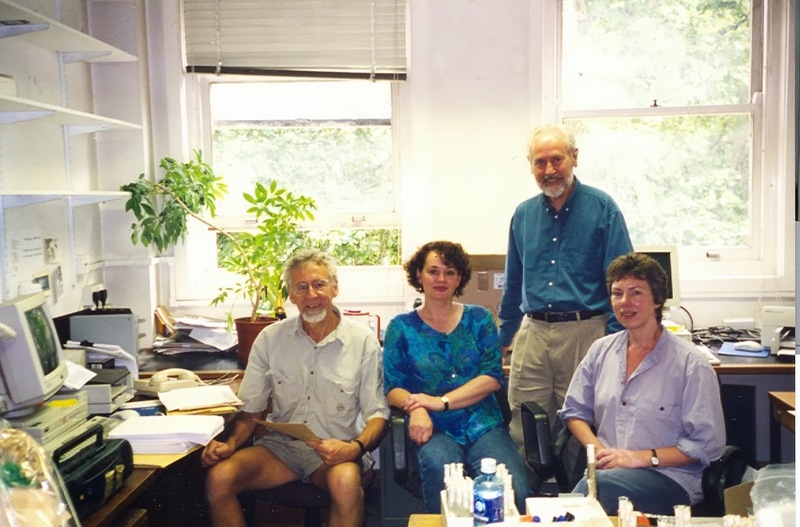 She was a beloved colleagues at the Institute of Archaeology, a fixture in the archaeobotany laboratory for many years and a leading figure in archaeological phytolith research, respected globally. Her research legacy is substantial as her work takes a distinctively ecological assemblage approach to reconstructing rice cultivation ecology as well as crop processing. This has proved innovative and has proved fruitful, and can be expected to continue to inspire further research and agricultural ecology approaches to phytoliths around the world. Despite first being diagnosed with late stage cancer in 2010, she soldiered on was at her most productive as a researcher over the past half dozen years, which is readily evident from her publications list. She has made lasting empirical contributions on archaeological research in China, Southeast Asia (Vietnam, Thailand, Cambodia), and South Asia (Bangladesh, Sri Lanka, India). Through ethnobotanical fieldwork (in India, Thailand, Laos) and archaeological projects (in China, Bangladesh, Fiji), many further collaborations she was a key colleague in many international networks and she leaves behind many friends around the world. Alison joined UCL as a BSc Archaeology student in 2000/01, essentially a career reboot as a mid-life adult. She demonstrated a strong affinity for environmental archaeology and archaeobotany from the beginnings of her studies. She took my “Plants and Archaeology” in 2001/02, and a new course on “Origins of Agriculture” the following year. Her BSc dissertation on phytoliths (“A study of the phytoliths from the late Bronze Age site of Krasnoe Smarskoe, Samara Valley, Russia, and the information they provide on agro pastoral economies and environments”) supervised by Dr. Arlene Rosen was passed with distinction in 2003. 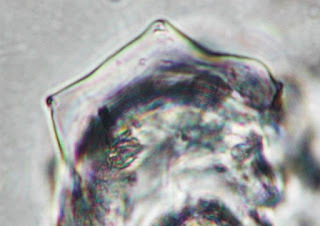 In receipt of a AHRC scholarship, she continued her studies in the MSc Palaeoecology of Human societies, with a dissertation on “An investigation of the Neolithic ash mound and settlement at Sanganakallu in the south Deccan, India, using phytoliths and macro-archaeobotanical material”, combined analyses of plant macro-remains and phytoliths and received a distinction in 2005. She began her PhD in 2005, again funded through an AHRC studentship. 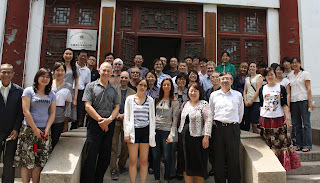 She submitted her PhD thesis, Vegetation, agriculture and social change in Neolithic north central China, a phytolith study, in 2009 and was awarded her doctorate in 2010. 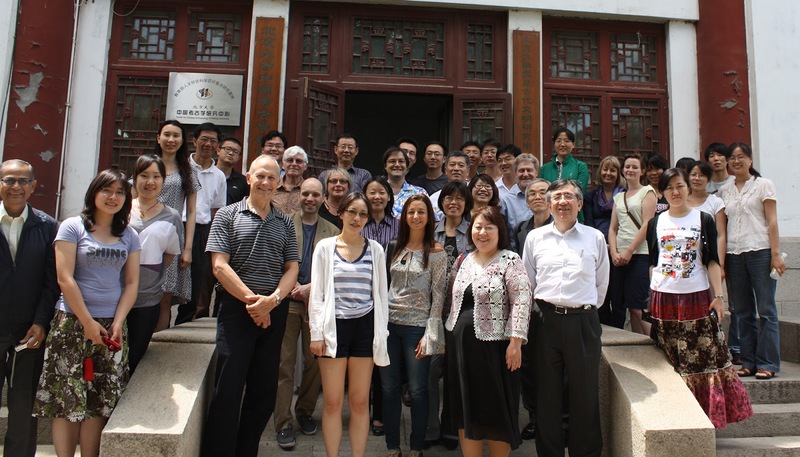 Her doctoral research took her on field to China several times, such as to the sites of Huizui and Xipo, where she worked alongside colleagues including Arlene Rosen (now University of Texas at Austin), Gyoung-Ah Lee (University of Oregon) and Liu Li (Stanford University). Her PhD represents years of dedicated laboratory work. She later published a revised version of her PhD as a monograph in 2014. In 2009 she took up a post-doctoral research associate position funded as part of a NERC project 'The Identification of Rice in Prehistory' (2009-2012), which came to be dubbed the Early Rice Project, and spawned follow on research projects, including 'The Impact of Evolving of Rice Systems from China to Southeast Asia' (2013-2016), and 'The impact of intensification and de-intensification of Asian rice production: transitions between wet and dry ecologies' (2016-2019). 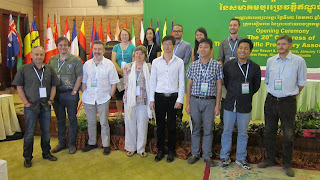 During a intermission between the first and second NERC projects she secured funding through a British Academy small grant to explore comparisons between phytoliths and diatoms in rice paddy soils, and she received a travel grant from the Thai Ambassador to the UK for ethnobotanical fieldwork on non-rice plant use in Thailand. Her research, and her development of phytolith approaches to rice cultivation ecology was central to these projects and their success. This sent Alison into the field to study modern rice ecologies, both cultivated and wild, in far flung parts of Asia, from central China to Laos and the highlands of northern Thailand, through Bangladesh and Assam, remote parts of Odisha state in India, and the Western Ghats mountains along western coast of India. Her unique experience and expertise has meant that she attracted archaeological collaborations and samples for analysis from an even wider range of countries. She authored 29 academic papers or book chapters, in addition to 1 monograph, with many more still in the pipeline. For a list her published academic papers and chapters: see here. 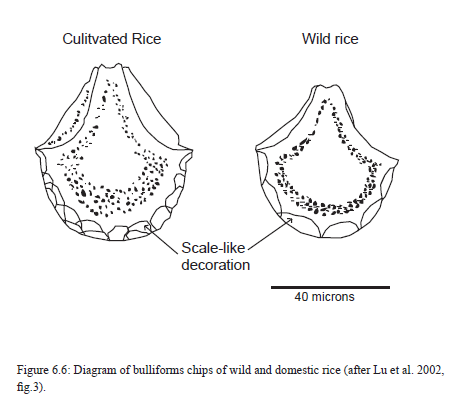 While many have approached phytoliths typologically and metrically to attempt to look at morphological differentiation between domesticated and wild rice (e.g. 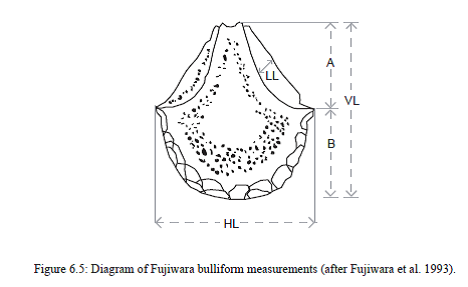 bulliforms or double-peaks), Alison’s innovation was to focus on the plant communities that occurred with rice and were sampled in harvests, sub-sampled in crop-processing and ended up to systematically recorded, quantified and discriminated in the micro samples from archaeological sediments. In her fieldwork and analyses, her focus on plant communities and how human communities intersected these is evident. It offers a legacy for phytolith archaeology. Nov. 2012: with Katie Manning. Alison, herself was a key node in our community. Having worked in the archaeobotany lab as a post-graduate student and post-doctoral staff member for some 15 years, she was often the focus of discussions, both of science and of social life. She has also trained and supported numerous students, offered countless cups of tea, words of encouragement, and a warm sense of humour. She is warmly remembered. 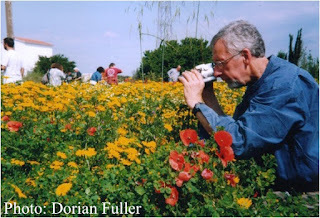 I invite comments to be posted to this blog by those who knew and miss here. And I append below various photos of Alison in action. 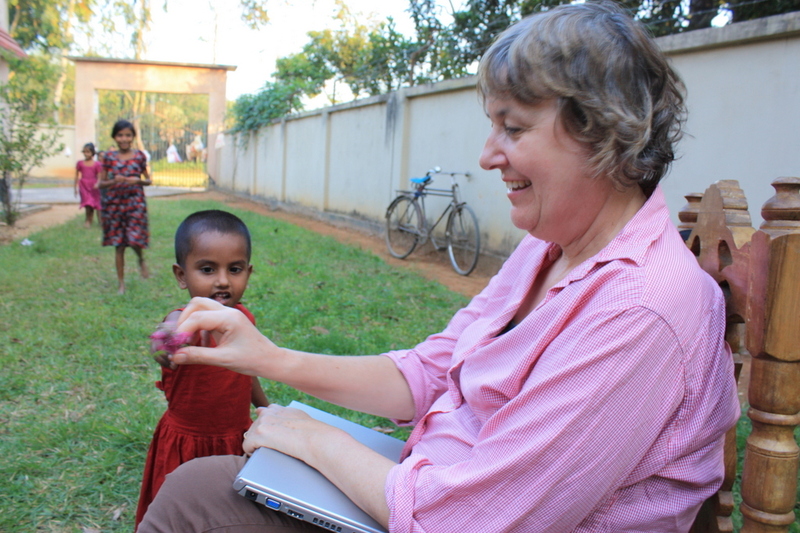 Alison collecting rice weeds in Bangladesh, Nov. 2013. 14 July 2004, IoA foyer on lab botanical shirt day: Phil Austin, Emma Harvey, Meriel McClatchie, Jon Digby, ALISON WEISSKOPF, Emma Jenkins. Alison was an MSc student at the time, and was apparnelty the original source of the idea for this day. Below a full photos of the whole lab group. Indo-Pacific Prehistory Association conference, Siem Reap, Jan. 2014. Participants in session on "Foraging and Farming". Alison fifth from Left.